Long before American Idol, America’s Got Talent, and The Voice there was the 1980s talent competition Star Search and its show-stopping singing champ Sam Harris. He had this amazing, soaring voice and his version of Somewhere Over the Rainbow was one for the ages. I remember him winning week after week after week after week and you knew there was never going to be anyone who would be able to beat him. Broadway shows and a Tony nomination, a recording contract with Motown, and many stage and TV roles followed. Best of all, Sam continues to thrill us in concert. 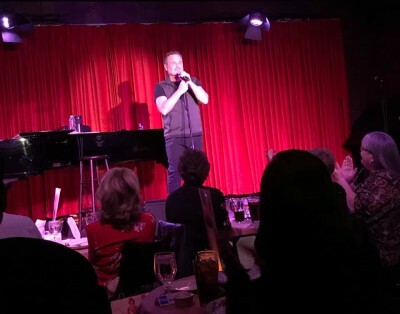 Last night he kicked off a two-night engagement at the Catalina Jazz Club in Hollywood (ticket info here) which is just a terrific place to see a show. My pal Dave Trudell and I ordered some wine and some dinner and had a wonderful time. Sam’s husband and son were seated at a table behind us and it was so moving at the end of the show when he sang In My Life directly to them. 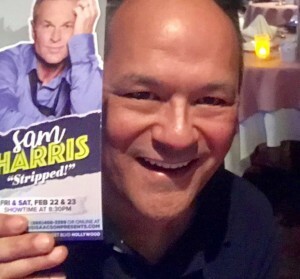 Sam did Over the Rainbow, of course, and nailed it as well as a mix of big ballads and Broadway tunes and some personal stories in between. He also did a reimagining of his 1980s top 40 hit Sugar Don’t Bite. 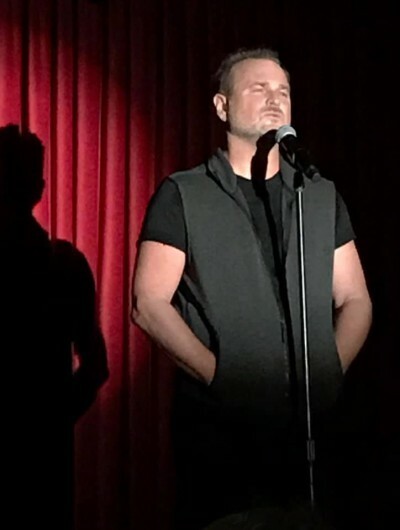 He performs with musical director Todd Schroeder, with whom he has been working for 25 years around the world in concert, in the recording studio, and as a co-writer. They are a first-rate team! I was very blessed to have seen him perform in Kansas City Missouri, got to meet and chat with him… told him I once seen him in a mall sitting on the first floor while I’m going up on the escalator, I tried to go back down but was not able to find him. Hell, the man is fine then and now, and decent enough to listen.